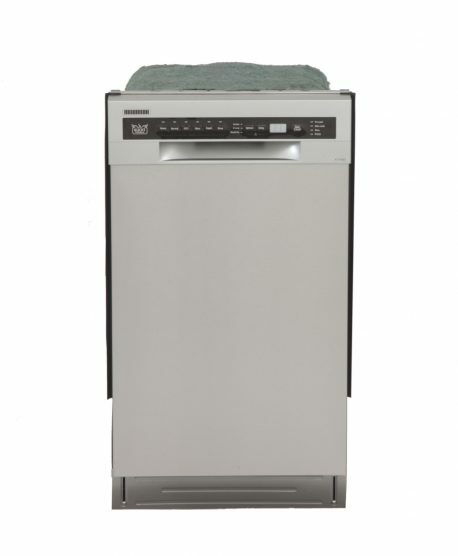 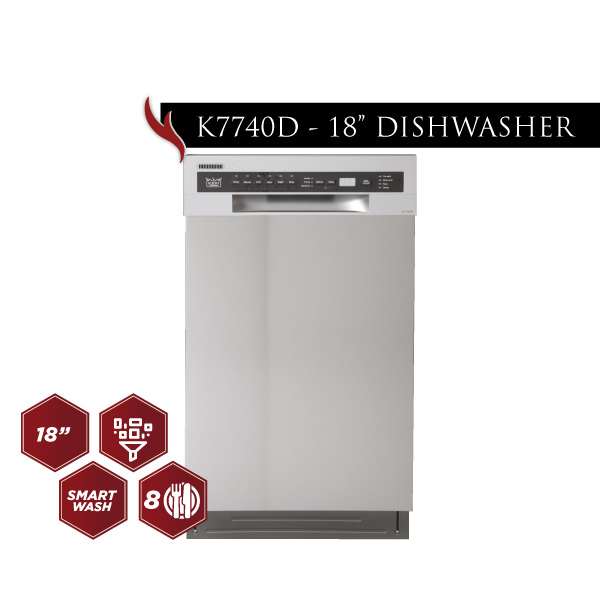 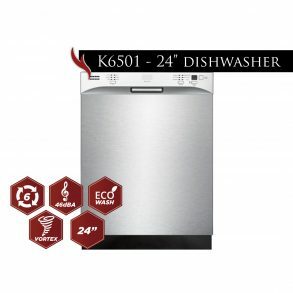 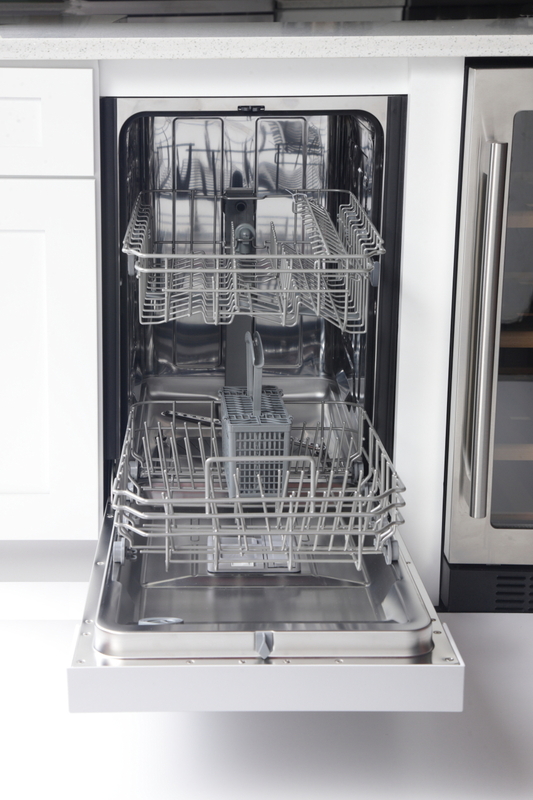 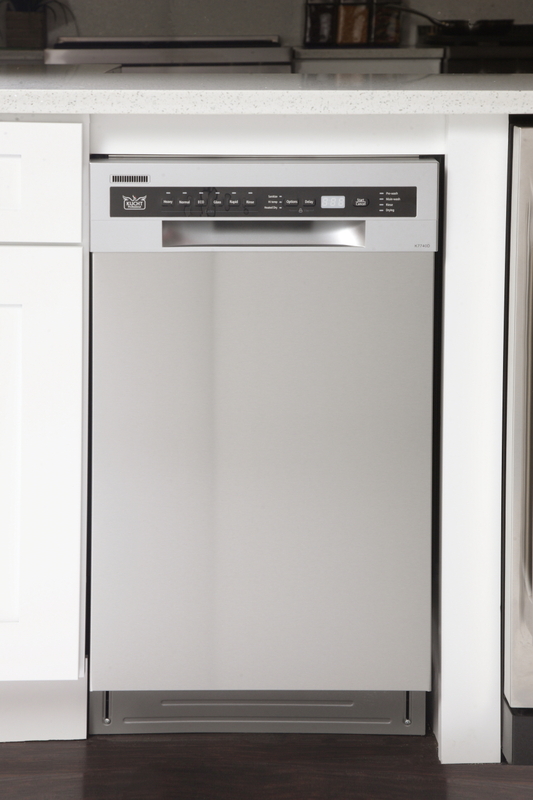 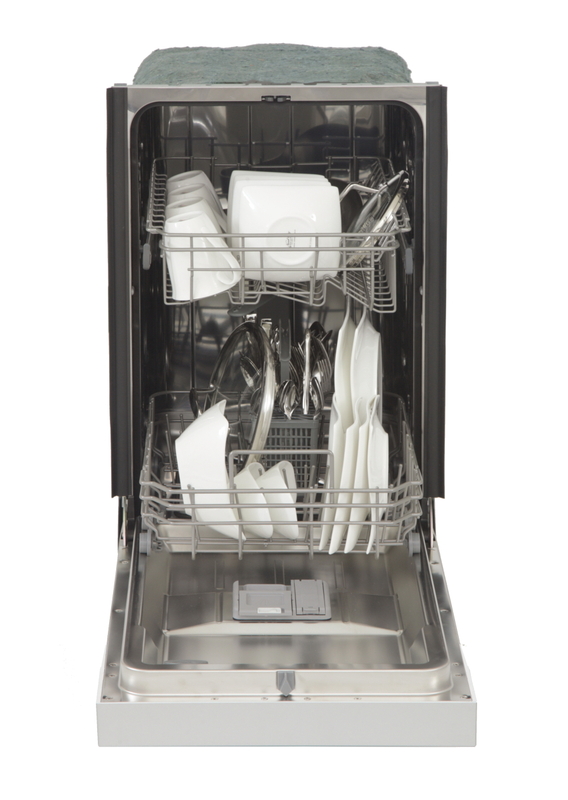 Enjoy cooking and doing the dishes with this quiet, powerful and sleek Kucht dishwasher. 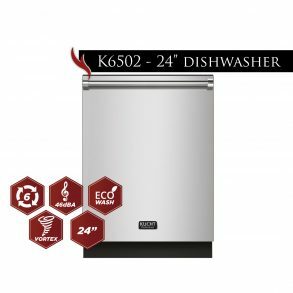 This innovative model accommodates greater capacity and comes with a multiple filter system that ensures its quiet operation (46dBA) in open spaces. 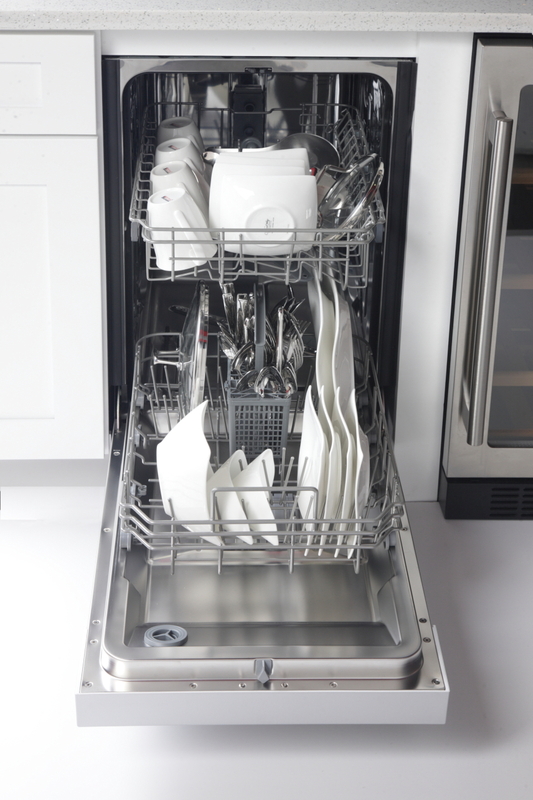 Cleaning performance and versatility are other attributes of the Kucht dishwasher, Cook more than you clean, own a Kucht dishwasher. Multiple Filter System. These mesh filters can separate soiled water and clean water in different chambers, which helps to get better performance with less water and less energy. 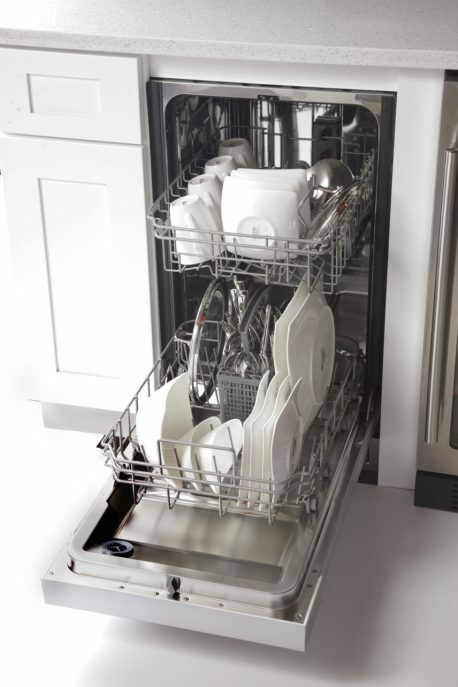 Thanks to its Smart Wash System, it can determine the type of cycle required to clean the dishes and it will clean more efficiently every time. Stainless steel exterior and fully integrated console with concealed electronic touch controls that are located on the front of the dishwasher for a quick access. Stainless steel tub that resist corrosion and gives premium look helps to deliver outstanding drying performance.